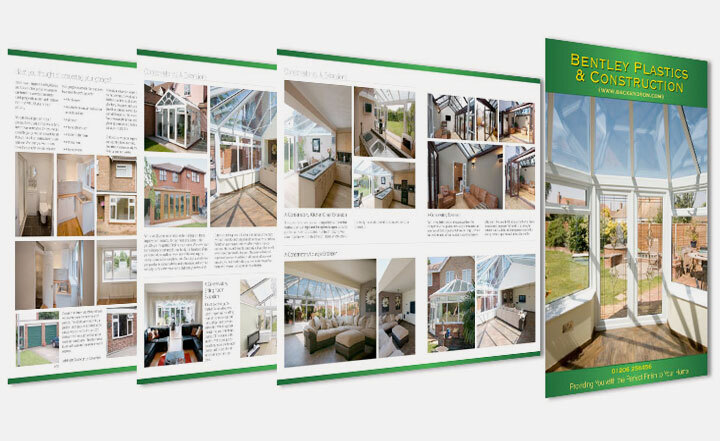 We have a comprehensive catalogue of brochure designs to suit many different markets. Together with our Colchester and Ipswich based print suppliers, we supply printed brochures from simple 6 page brochures and folders, to 200 page+ annual reports and catalogues in various sizes, shapes, paper weights and finishes. We can add spot UV varnishes, matt and gloss lamination, PUR bound brochures and much more. We started in Graphic Design before websites were the norm and have expert knowledge to know how to design for a market. Your message needs to catch the eye of your potential customer or client and stand out from everyone else. Our designs are well-thought-out, message-leading designs, whose sole purpose is to capture attention and guide clients and customers to your website, shop or business. The guys at Footsteps provide a really great service and nothing is ever too much trouble, even when they are super busy. They have designed our charity magazine for some years now. Their ideas and forward thinking help us to inform and educate our select group of congenital heart patients and provide them with a publication that is loved by all. Thank you Steve and Alex for all your hard work.